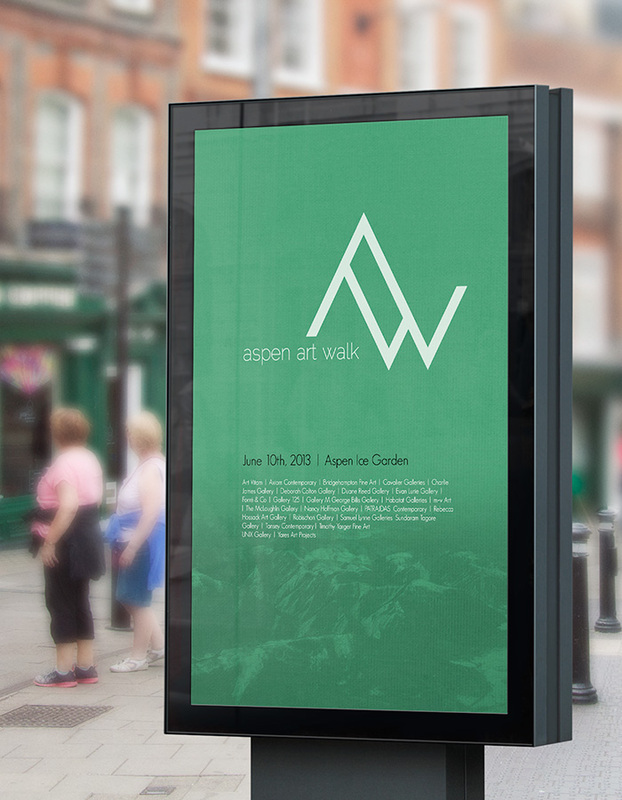 Aspen Art Walk is a Colorado art exhibition that started in the summer of 2013 showcasing both local and international talents, with a focus on curators of specific artist collections. Rare Dimension was tasked with creating the branding design for AAW, which was to be used on promotional materials by gallery owners and artists during the exhibition on business cards, posters, and websites. The unified shape includes two "A" letters in the logo that form peaks, giving a nod to the city that hosts the event accompanied by a clean sans-serif font all set in a monotone black or white (depending on placement).